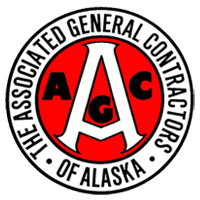 We offer design-build services for commercial construction projects throughout Alaska. Our experience includes office buildings, retail facilities, industrial and government construction projects, fueling systems, airport terminals and tenant improvements. constructing quality projects ​the Owners can be proud of. ​as well as alteration and addition type projects. Our primary focus is new construction. Whether your building is CMU, steel, or a wood framed structure, Pinnacle has the experience to meet your needs. Our projects vary from commercial office buildings, to fast food restaurants, to Airport passenger terminals and jet bridges and renovations ​and tenant improvements to existing buildings. with ​the industry’s leading manufacturers. and tank monitoring equipment. Our service contracts allow us to perform warranty work for the manufacturers, and our technicians are also available for your other service needs. the evolving technology ​of fueling systems and equipment. When it comes to petroleum fueling systems Pinnacle Construction is an Alaskan leader. We employ ADEC licensed supervisors and inspectors who have worked on hundreds of fuel storage tanks and associated dispensing systems. This experience includes storage tank installation and removal, and upgrade project throughout the state. Our comprehensive experience includes steel and fiberglass underground storage tanks and aboveground steel tanks. We are certified to install fiberglass and flexible piping systems, electronic tank monitoring and dispensing systems. We can service your entire commercial fueling system needs. Our expertise is in providing complete turn-key fleet and retail fueling facilities with components of storage tanks, double-wall rigid or flexible underground piping systems, fuel dispensing equipment, tank inventory and leak detection systems, point-of-sale (POS) systems, fuel management systems, and metal canopies for covering the fuel dispensing locations.